US President Donald Trump reminded football fans once again that he “proudly stands for the National Anthem,” ahead of kickoff of the Super Bowl. Trump’s message comes in lieu of a presidential Super Bowl interview – the first time a president has skipped such an interview since the tradition was started by George W. Bush in 2004. Avoiding further controversy, none of the players knelt during the anthem. President Trump took one final shot at NFL players’ protests before kickoff of the Super Bowl on Sunday. Players kneeling during the national anthem in protest of police brutality and systemic racism within the justice system became one of the biggest stories of the 2017 NFL season. Trump seemingly made the protests part of his agenda several times during the season, even calling for protesting players to be fired. 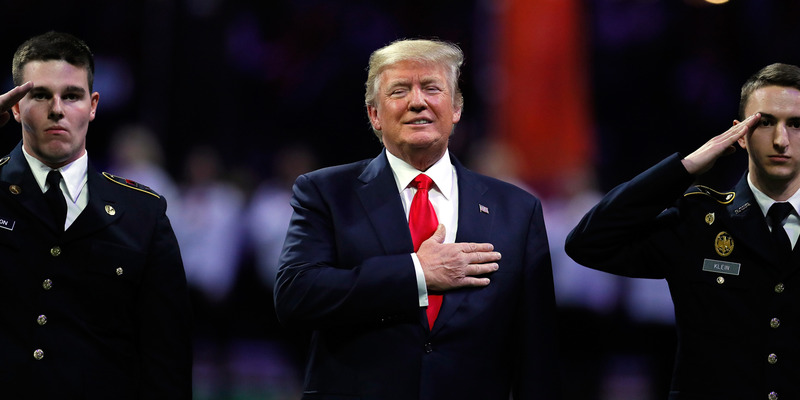 Trump’s “Presidential Message on Super Bowl LII” comes as he forgoes a tradition that dates back to 2004 – declining to take part in an interview on Super Bowl Sunday. When Pink sang the “Star Spangled Banner”, no players knelt, avoiding further controversy. You can read the entirety of Trump’s message below.